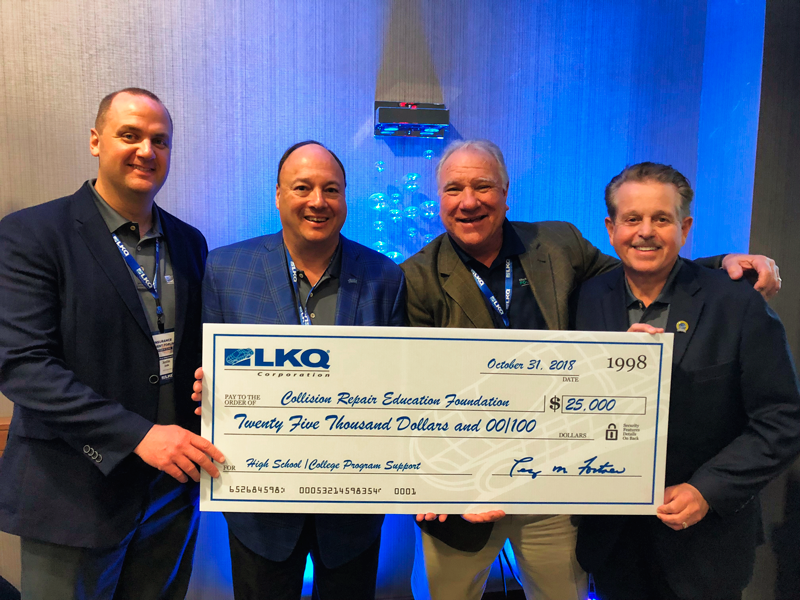 LKQ Corporation has renewed its $25,000 contribution to the Collision Repair Education Foundation, as part of its continuing commitment to the future of the collision repair industry. The financial contribution is in addition to the in-kind donation of parts that LKQ donates to collision school programs each year. The monetary contribution assists Education Foundation’s ability to offer collision school tool and equipment grants and student scholarships across the U.S.